Its interesting to note that this document includes the contribution of the UK to the EU in contrast to other occasions when the EU seems to prefer omitting the UK. 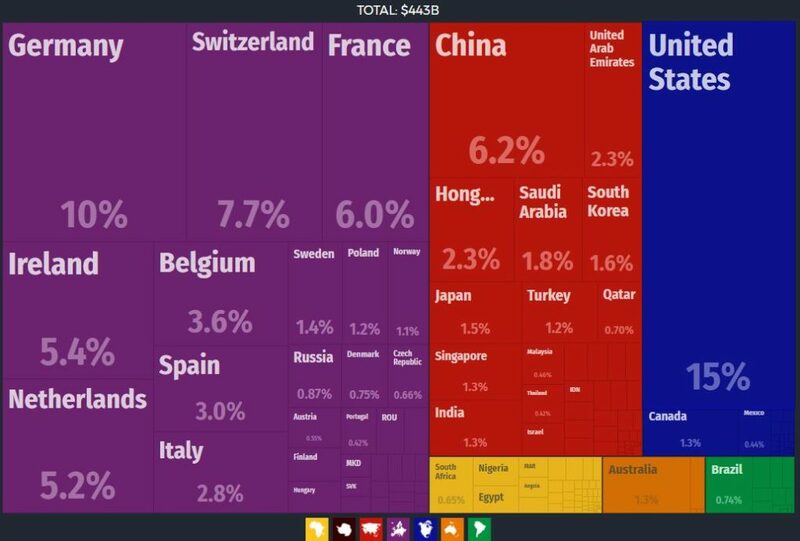 Nonetheless, its useful to see a comparison of facts relating to the positioning of the combination of countries in the EU, in relation to the rest of the world. (In this particular case it would also be interesting to see how the numbers change when the UK is treated separately e.g. the population figures quoted for the EU will be reduced by approximately 13% after the UK leaves the EU). The EU has a seat at the G20 because the combination of its member countries creates one of the largest economic areas in the world. 4 countries in the EU France, Germany, Italy and the UK have their own seats at meetings. The EU declared its objectives for the meetings in an earlier letter from Jean-Claude Junker and Donald Tusk published on 3 July 2017. A number of papers outlining the position of the EU negotiating team, regarding a number of different specific matters, have recently been added to list of documents published by the EU. 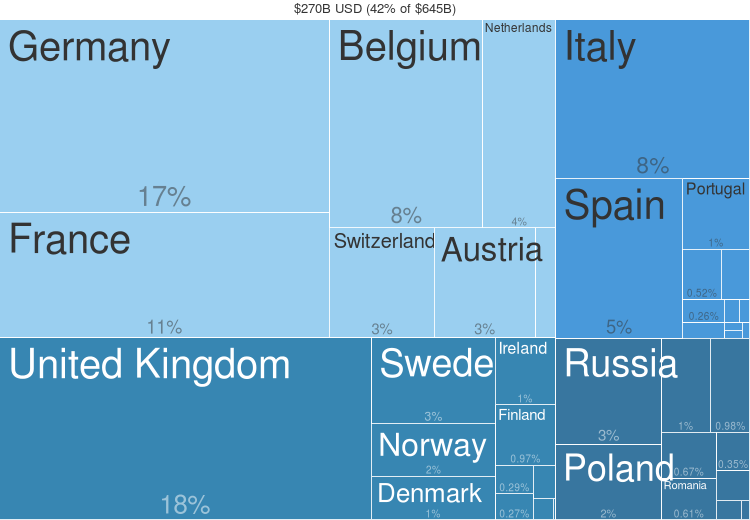 These papers have also been transmitted to the EU27 countries. Many organisations have undertaken research investigating the potential impact of the effects resulting from the UK leaving the EU without a Free Trade agreement in place. The optimum outcome of the negotiations (for both the UK and EU member countries) would be for the EU to agree tariff free access to the EU market by the UK and for the UK to agree tariff free access to the UK market by the EU. A report was published by Civitas in October 2016 which explores the potential tariff implications for the trade in goods between the UK and EU member countries, if a free trade deal is not reached by the time the UK exits the EU. It is based on data from 2015 and does not take into account trade in services between the UK and the EU. 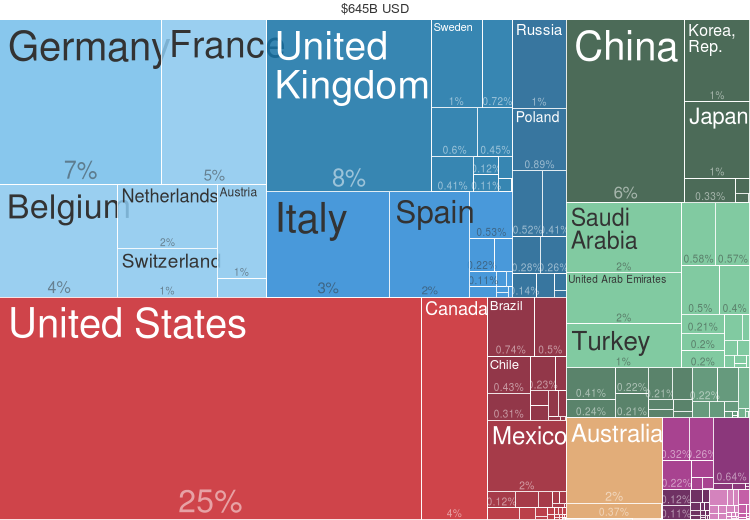 The following table, extracted from the report, shows an estimate of annual tariffs that could be payable on UK-EU Imports by EU Partner Country based on data from comtrade (http://comtrade.un.org/data/) if trade between the UK and EU was conducted under WTO Most Favoured Nations (MFN) terms. 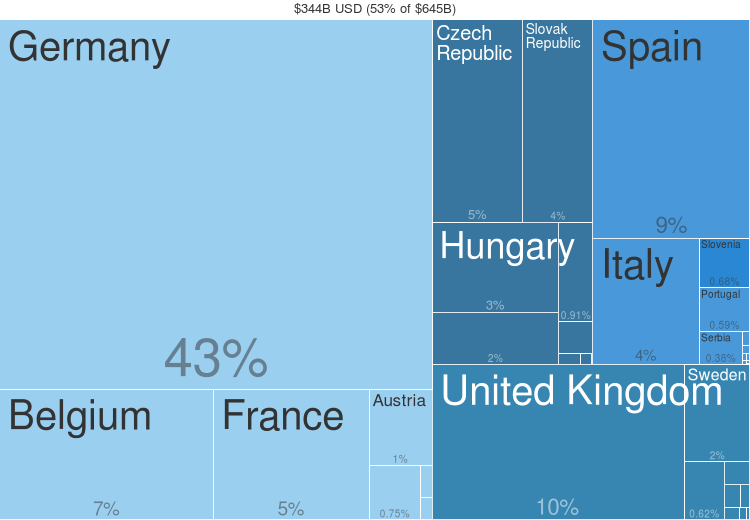 From the data provided, it can be seen that Germany could have faced potential tariffs costing around £3.4 billion on exports to the UK with France and Ireland seeing tariffs of £1.4 billion and £1.3 billion respectively. 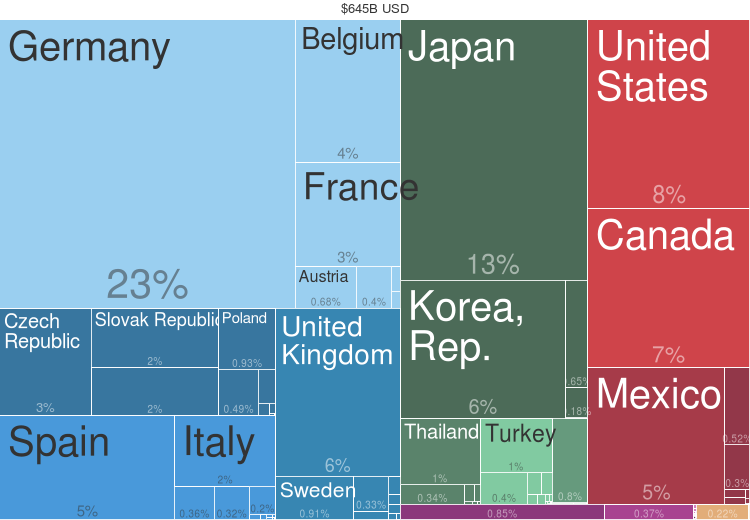 This stands in comparison to UK exporters who would see tariffs of £0.9 billon on exports to Germany, and £0.7 billion and £0.8 billion on exports to France and Ireland, respectively. 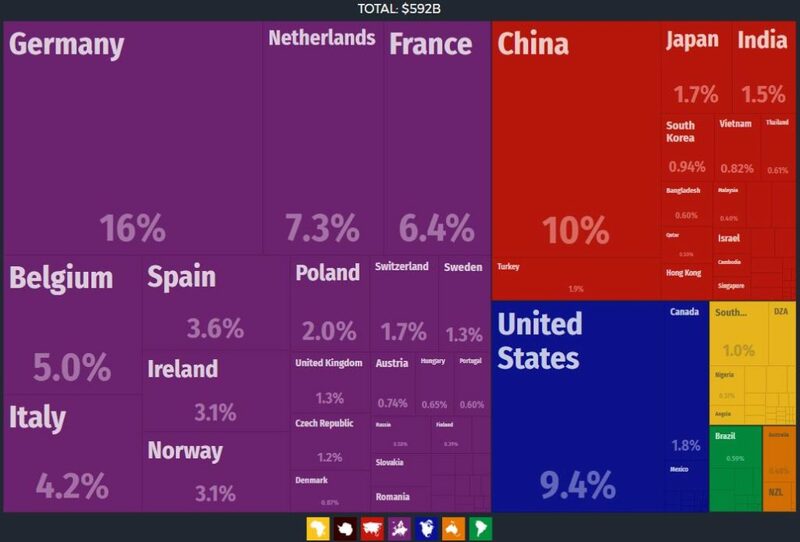 The total amount paid in tariffs for goods by the UK to the EU would be £5.2 billion compared to the total paid by EU to the UK of £12.8 billion. 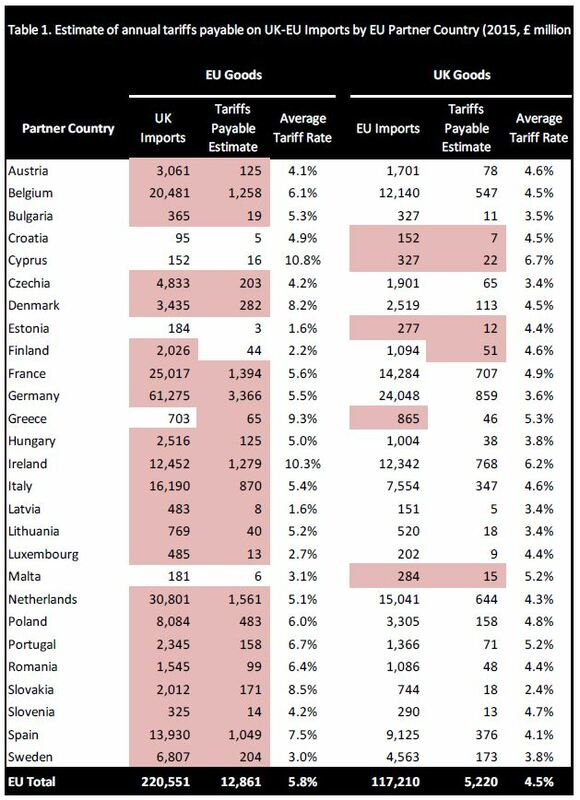 Most of the countries in the EU currently have a trade surplus in goods with the UK and all would be affected by the introduction of tariffs. The potential disruption of future trade between the UK and individual EU countries is greater for some than for others e.g. the trade between the UK and Germany in particular. The report also explores the potential impact of tariffs by industry. Who pays the tariffs ? The report considers the trade in goods at a high level and shows there will be a cost to pay for both EU and UK exporters. The potential impact on imports could mean rising costs for retailers and consumers who may be the ones who end up paying import duties. The consumer will have the choice of buying the goods at a higher price, choose not to buy particular products or seek alternatives. Exporters may have to adjust their business models to take into account tariffs allowing them to continue to sell their products at competitive prices in the markets. A fall in the value of sterling versus the EU has not been taken into account and how this would affect future trade inculding tariffs. For exporters, WTO rules on state aid and subsidies regulate the provision of any possible compensation that the UK government might wish to give affected industries. Civitas, the Institute for the Study of Civil Society was founded in 2000 as an independent think tank. The UK Government has announced it is withdrawing the UK from the 1964 London Convention on Fisheries in order to take control of its fishing policy and brings into focus issues surrounding Brexit and the Common Fisheries Policy. The 1964 London Convention was signed by 13 European countries in order to establish and define a fisheries regime for their coastal waters and it allows vessels from other countries to fish in British waters if they had habitually fished in that same region between 1 January 1953 and 31 December 1962. The Convention on Fisheries requires Member States to provide two years’ notice if they wish to withdraw and is one of the reasons why it is happening now. The EU currently governs fisheries policy in the UK with the EU’s Common Fisheries Policy (CFP) which will continue to apply in the UK until the UK has legally ceased to be a member. After that, access to fishing grounds will be determined by international law rather than EU law and the UK will have sovereign control over the resources in its waters. so it is unclear how negotiations over a future fisheries policy can be achieved prior to the UK leaving the EU. The EU recently published an extensive document (164 pages) following a Workshop on “Common Fisheries Policy and BREXIT” of 21th June 2017, organised by the Committee on Fisheries (COMPECH) and the Policy Department B (PECH Research) of the European Parliament. 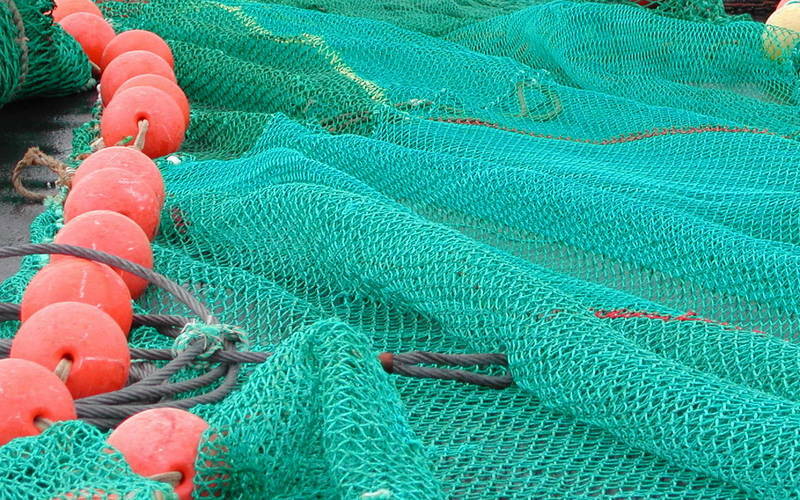 This document was produced on behalf of the European Parliament’s Committee on Fisheries. It provides an economic analysis of the expected consequences of Brexit and examines possible future EU-UK agreements on fisheries issues. The document covers a number of topics and shows figures detailing the amount of fishing performed by EU countries in UK waters, trade in products between the UK and EU and vice versa, possible tariffs on UK imports of fish and fish products from the EU and exports of UK fish and products to the EU etc. The Commons Library issued a briefing paper Brexit: What next for UK fisheries?